If you read my biography, you’ll know I was born in San Francisco! In summer of 2013, Tommaso and I traveled to California to visit my family and friends. This would be his first time not only to California but to America! So of course I wanted to show him as much touristy things as possible. On Our Way to Visit Alcatraz Island! What a Typical Cell Would Look Like. Perfect Day at Dolores Park. Lunch at the Slanted Door. View of the Bay Bridge from Coit Tower. View of Lombard Street from Coit Tower. Tommy’s First In n’ Out Experience! He Loved It! View of San Francisco from Twin Peaks. 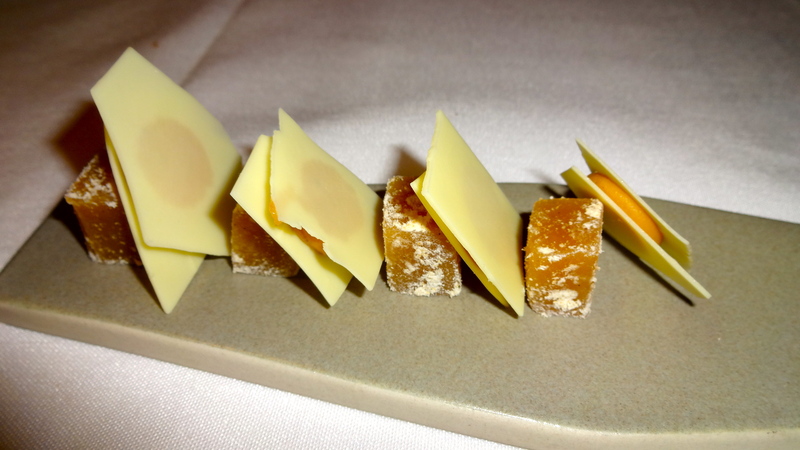 One night we dined at Aziza, a one Michelin star restaurant serving modern Moroccan cuisine. 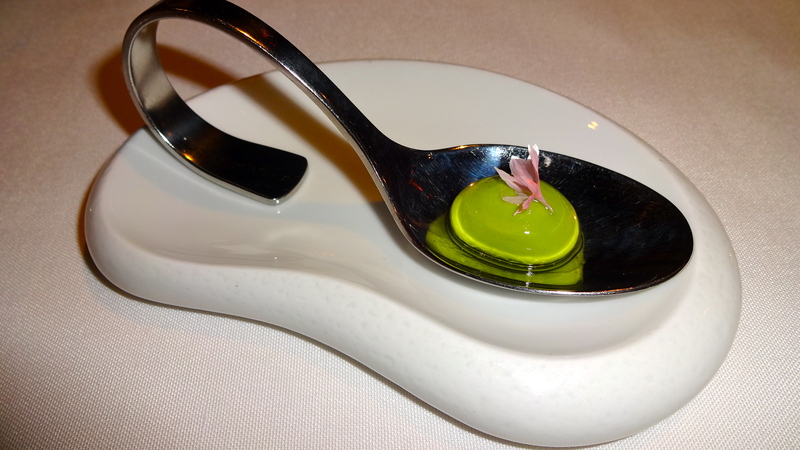 We we torn between the à la carte and tasting menu but ended up ordering the tasting menu because it sounded more adventurous and intriguing. 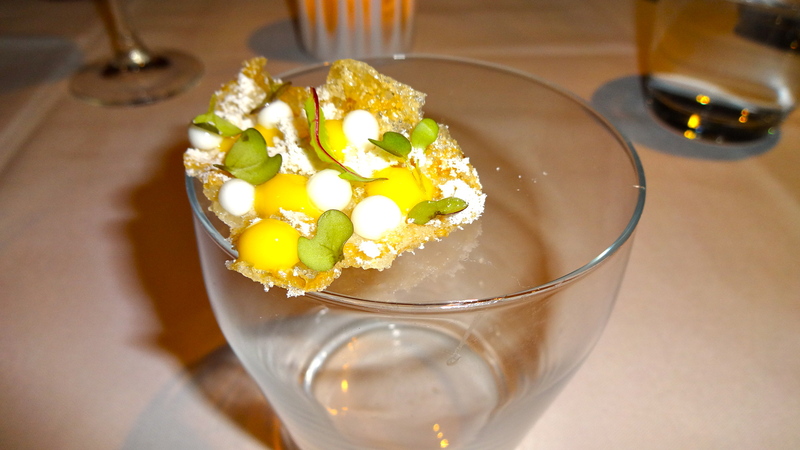 Rice Cracker, Corn, Yogurt (6/10). Eggplant, Capers, Tomato, Gypsy Pepper (7.5/10). 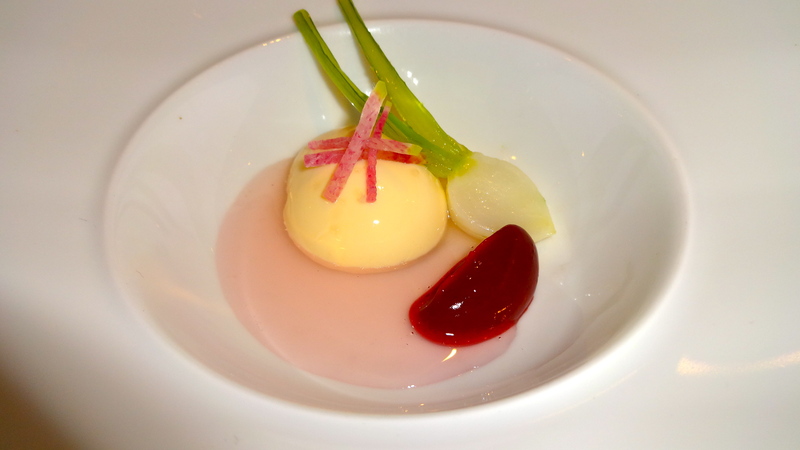 Rutabaga Custard, Turnip, Blackberry, Radish (7/10). 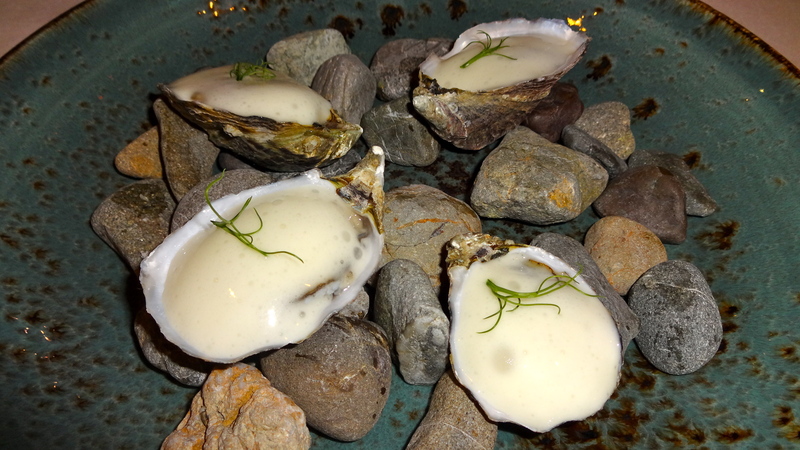 Oysters with Ginger Foam (7.5/10). 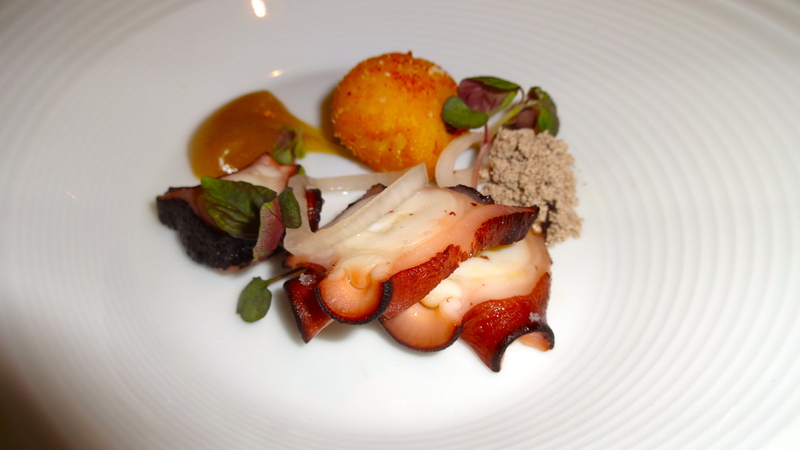 Octopus, Potato, Sherry, Olive, Shallot (7.5-8/10). 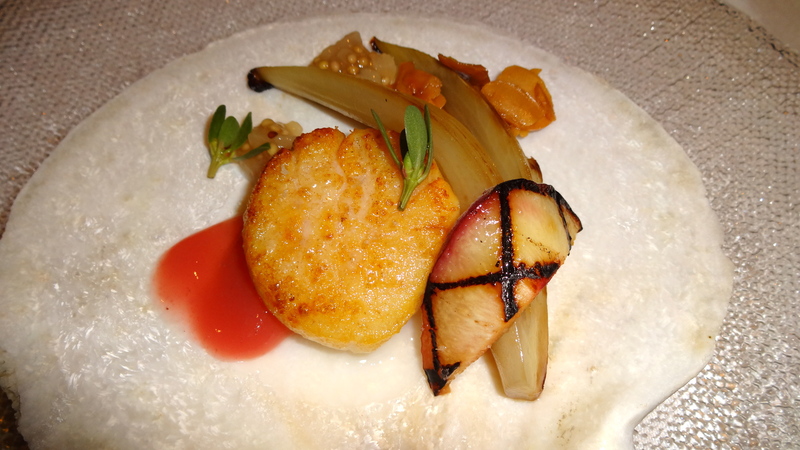 Scallop, Endive, Peach-Mustard Relish, Almond (8/10). 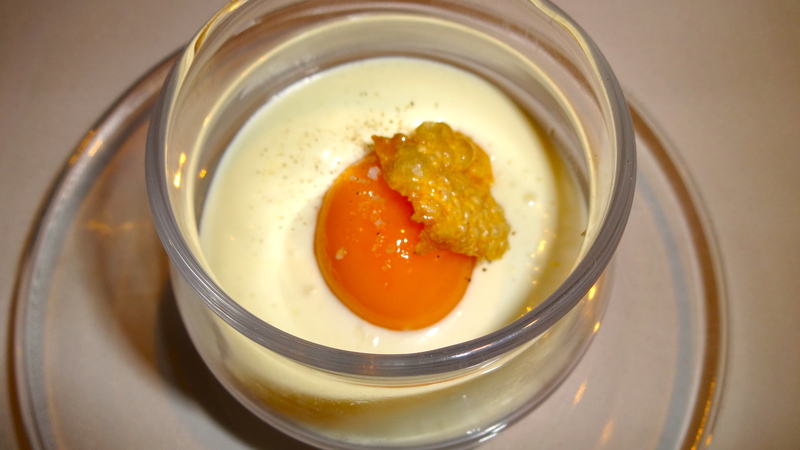 Egg, Smoked Potato, Chicken Crackling, Carrot Jam (7.5-8/10). 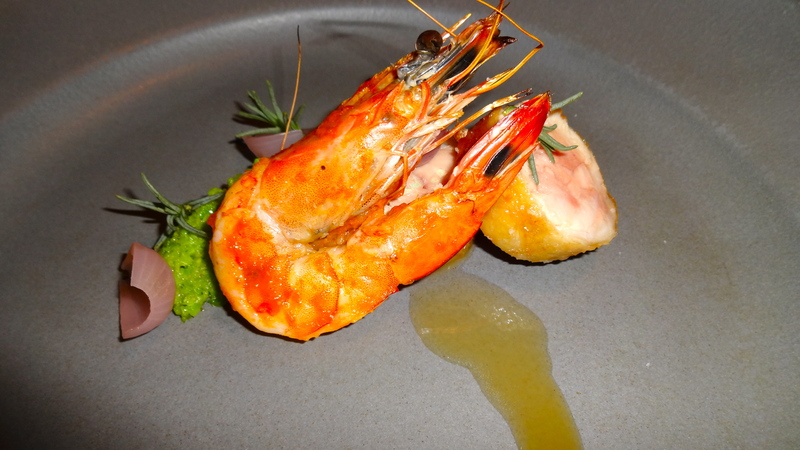 Quail, Shrimp, Fava, Onion (7.5/10). Duck Confit Basteeya, Kohlrabi, Almond (8.5-9/10). Beef, Fig, Cauliflower, Brown Butter, Bitter Chocolate (8.5/10). 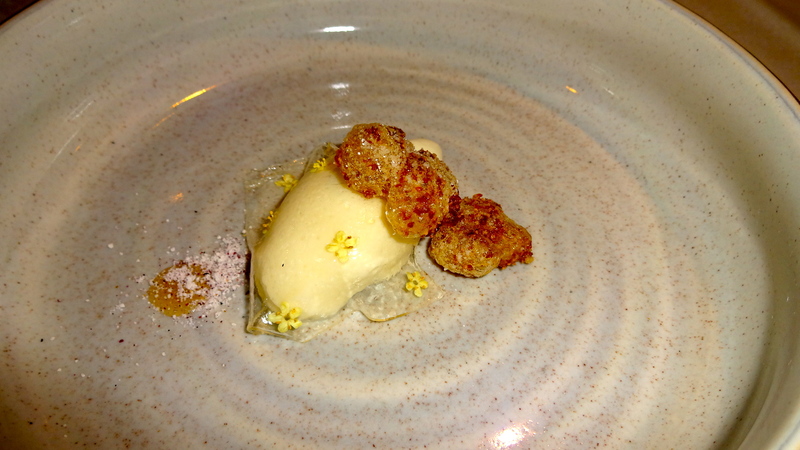 Chamomile Cream, Elderflower Fritter (7.5/10). 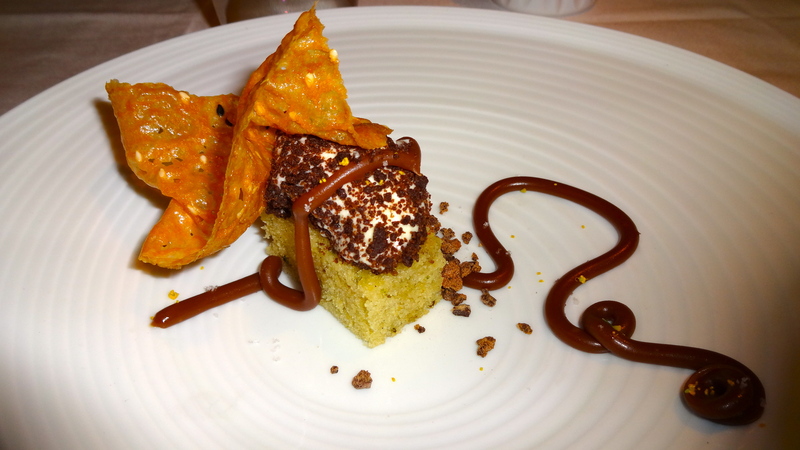 Semolina Cake, Coffee, Sesame Ganache (8/10). Aziza was definitely not what I expected when I thought of Moroccan food. 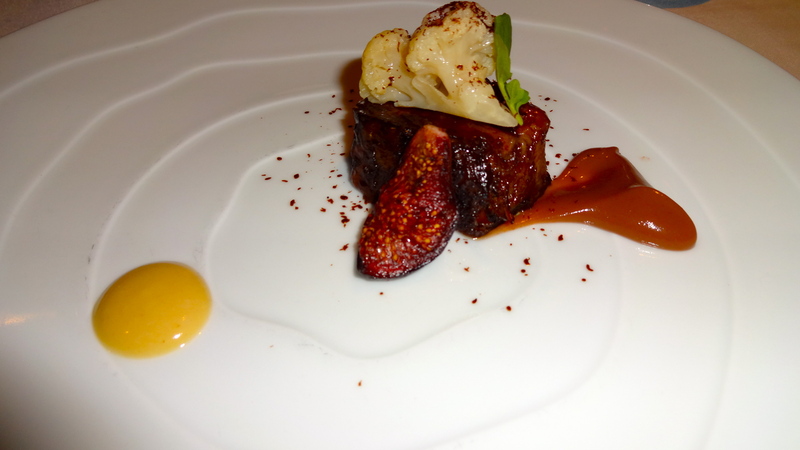 A lot of the dishes were experimental with flavor combinations that I had never seen or thought about. 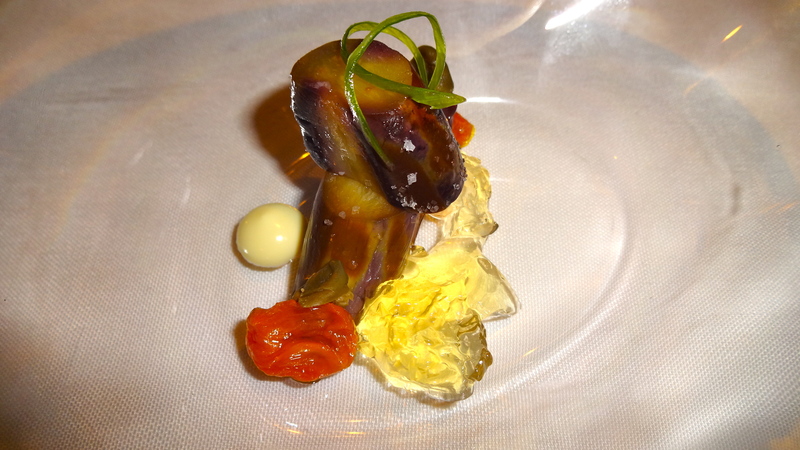 My favorite dish of the night was their specialty, the duck confit basteeya. 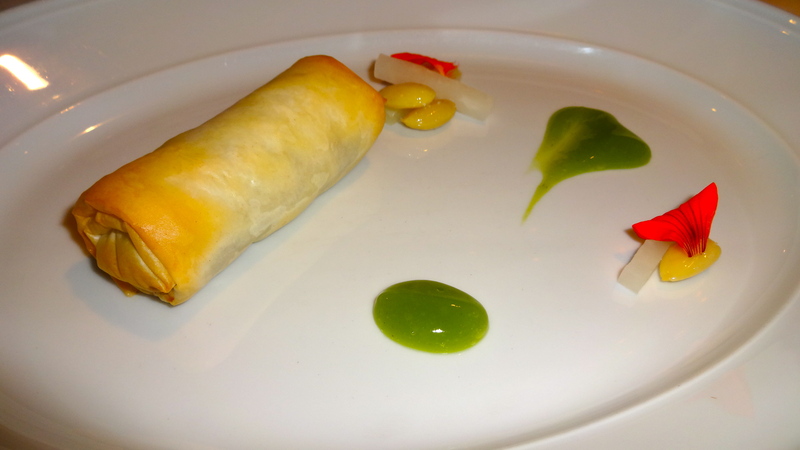 Crunchy phyllo dough with tender duck meat inside seasoned with all sorts of sweet spices was so delicious. They also serve really amazing cocktails so you gotta get a drink if you go there! Overall, I’d give them a 8/10 rating. So, I think I did a pretty good job showing Tommy around San Francisco. When he first arrived, he said San Francisco was a complete culture shock from what he was used to back in Italy. After a few weeks of exploring San Francisco, he fell completely in love with the city and said he could picture himself living there one day. He hasn’t been back since but in about a month we are heading back to California together and we could not be more excited! Pingback: Mourad. | Sale, Pepe, Amore.